This "Historically Speaking" column was published in the Exeter News-Letter on Friday, December 21, 2018. 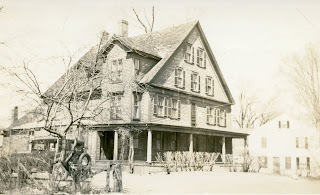 Author Ned Shute once described the Granite House in this manner: “It did not cater to the better class but I suppose it came under the name ‘hotel’” Shute had been part of the Exeter police department’s crackdown on liquor and gambling in the late 1880s and the Granite House on Center Street was raided often. He described the proprietor as, “a horse trader, a sport who dressed well, wore a long ulster, cream in color, with pearl buttons as large as silver dollars. His long mustache, curled at the ends, was dyed a jet black, his driving team sported a bright yellow foot robe, a very vivid lap robe and a bright bow of red ribbon on the whip.” Of course, Shute was fictionalizing a great deal. In the late 1890s, there were several hotels in Exeter. None were particularly large – the Granite House had 20 guest rooms in 1897. Each tended to cater to different clientele. The Granite House, with its close proximity to the Exeter Opera House, was the hotel of choice for performers and traveling shows. The week before Christmas in 1897, the Boston Globe reported that “a traveling company which played a week’s engagement was quartered at the hotel.” Sharing the dining room, hallways and lavatory with ‘show people’ probably wasn’t a big selling point for travelers with slightly more upscale expectations. The hotel had run through managers in closing decades of the nineteenth century. A business brochure published in 1891 said, “The Granite House has been in existence for some years, and at one time was carried on by Mr. Horace P. Stevens, who was succeeded by Mr. H. W. Langley, who was recently succeeded by the present proprietor, Mr. Ralph S. Haley, who is untiring in his efforts to make his guests feel entirely at home.” Haley was replaced in 1895 by Benjamin B. Kimball, described by the Boston Globe thus, “Landlord Kimball is well known among the horsemen in this vicinity. He has been a dealer in horses and carriages nearly all his life. 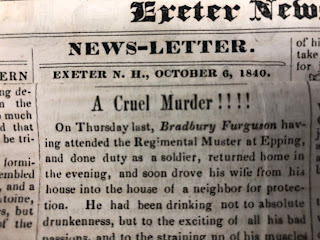 He is a native of Kingston, where he has a mother and sister living.” The Globe did not, like Shute, embellish his character by describing his appearance. Nonetheless, Kimball was the primary suspect when the Granite House suffered a mysterious fire – certainly the work of an arsonist – in the early morning hours of Christmas Day, 1897. There were three guests at the hotel that night, all were quickly ruled out as possible suspects. Two were just visitors to the area, a third referred to as “Dr.” Henry F. Virtue, was a well-known shady character. Virtue, a self-described veterinarian but really a snake-oil salesman, was caught up in a horse stealing case that had yet to be resolved. Virtue, however, had been awakened by the smoke and was the one who ran outside in freezing temperatures to sound the alarm. Both Kimball and his wife were taken into custody and charged with arson. There were several theories about why the Kimballs might want to torch the Granite House. The hotel wasn’t owned by the Kimballs, it was owned by Mrs. Louisa Nichols of Plaistow, who had insurance enough to cover the damages. The contents of the building, however, were owned by the Kimballs. Benjamin Kimball had purchased furniture on credit. He was behind in his payments, but oddly, had the furniture insured for more than it was worth. The Globe reported that there remained $300 in payments to a Haverhill furniture shop, but the insurance that covered it was $1500. Payment was due the following day. It was also noted that Kimball had purchased the same amount of kerosene during the fairly slack week with only three guests as he had the previous week when the hotel was full of performers. Plenty of oil – perhaps to set multiple fires? 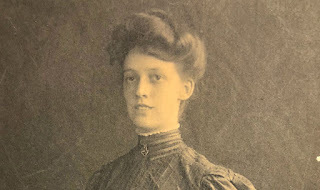 There was also a circulating rumor that Mrs. Kimball, the former Mittie George of Haverhill, was wildly jealous of the attention her husband had been paying to the house maid, Minnie Davis. Davis told the Globe, “Mr Kimball was only kind to me and I polite to him. His wife never even spoke crossly to me and I never dreamed that she could be jealous. If she was jealous, why did not she say something to me or discharge me. She could have done so.” These types of small-town rumors were as common then as they are today, it seems. The case lingered in court for months and was set to be tried the following April and then pushed ahead to October with the wry comment, “it is unlikely it will ever be tried.” War had broken out with Spain that same Spring, and local news lost most of its coverage. By October, Mrs. Nichols had sold the building to the contractors she hired to make the repairs. The furniture was found to be minimally damaged – and that mostly by water. Perhaps the insurance coverage served as a balm and the charges were dropped. The Kimballs seem to have left town. The Granite House was never used as a hotel again. It was renovated into a double business block and one half was purchased by John Higgins, who moved his fish business from Cass Street. He would later open Higgins Ice Cream to the location. The building itself was torn down in 1940 to make room for the New England Telephone Company building that stands on the site today. 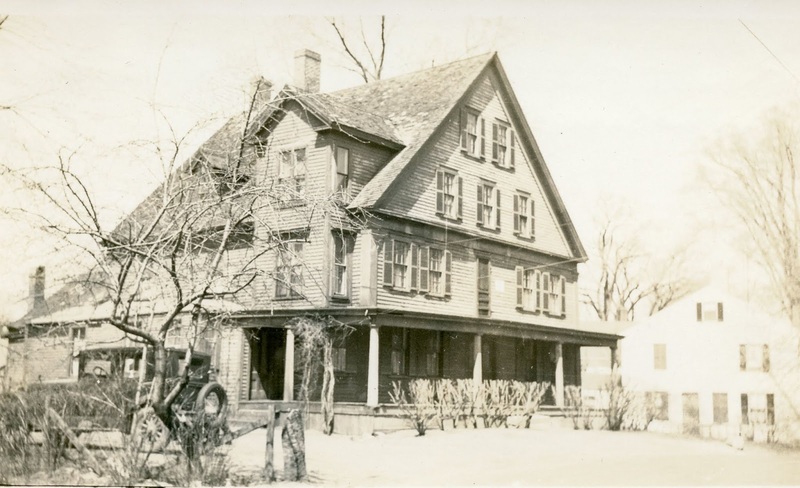 Image: The Granite House, as it looked in the 1930s. Interior renovations were made following the fire of 1897 and the building was repurposed to serve as home to several businesses.